Vrindavan, UP: On June 28, 2015, Kurma-rupa Dasa left his body surrounded by devotees in the midst of Hare Krishna kirtana, with sacred tulasi on his tongue and head and his salagrama-sila on his chest. 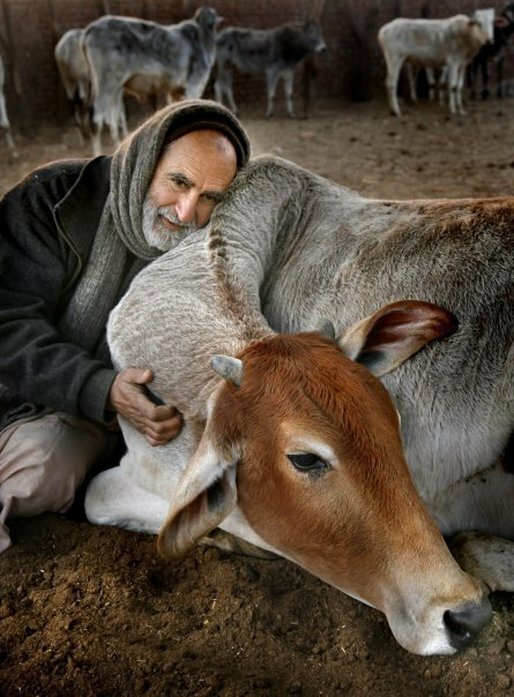 He lived in Vrindavan for many decades and served as the founder and the head of “Care for Cows,” a network of international volunteers dedicated to awareness, education and action regarding cow protection as taught in the Vedic scriptures. “Care for Cows” maintains over 500 abandoned cows, bulls, retired oxen, and orphaned calves throughout Vrindavan. 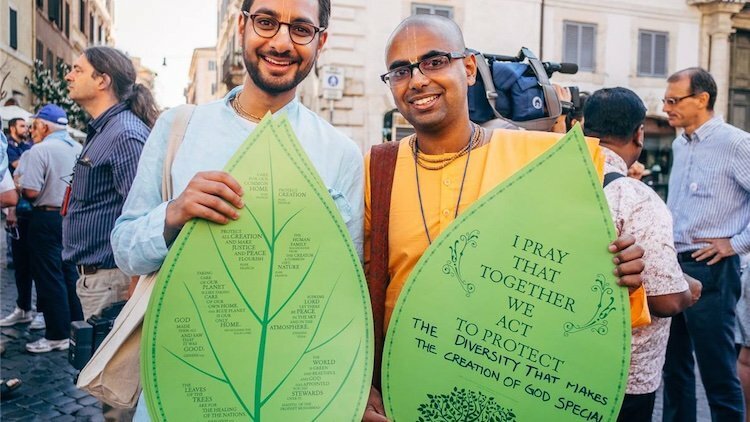 Three Hare Krishna devotees, Aleksandr Grankin, Aleksei Vlasyuk and Pavel Ivanov, were detained in the streets of Vitebsk on June 17 for sharing their religious views and offering religious literature to passers-by. There they were detained for five hours and released after identity verification without the preparation of any cases against them. Lord Jagannatha’s 40-foot high chariot glided through the streets of Nairobi after a gap of one year. The 3-kilometer route was covered in 5 hours. Over 3,000 plates of prasada were distributed. 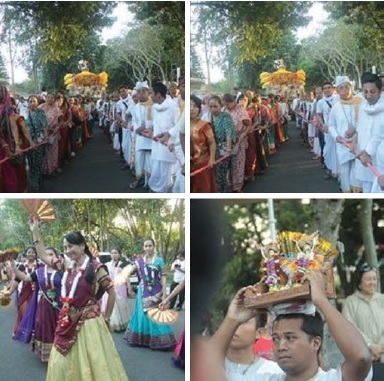 Malang, Indonesia: On June 14, as part of the Malang Street Percussion Festival, ISKCON devotees organized the first Ratha-yatra for Lord Jagannatha here. 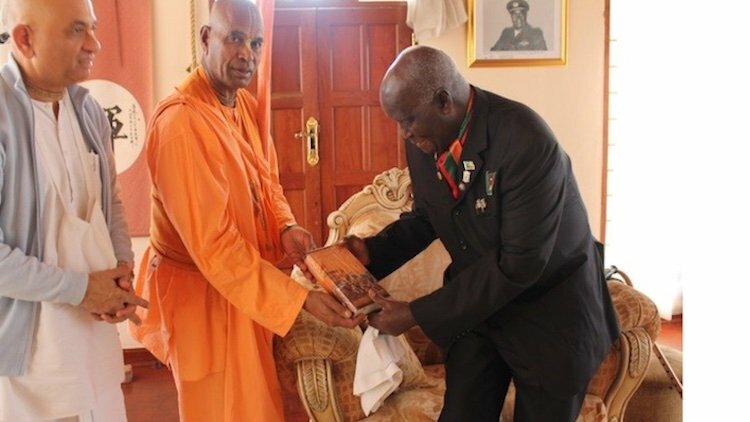 Durban, South Africa: “The African continent has recorded amongst its best book distribution scores ever in 2014,” says managing trustee Govardhana Dasa. 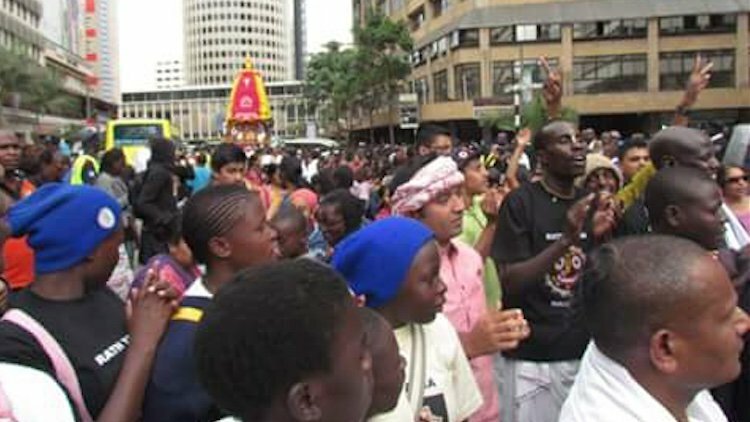 Kenya and South Africa have led the charge with 82,756 and 69,923 books last year respectively, while dedicated groups of devotees from Mauritius, Ghana, Nigeria, Tanzania, Togo, Malawi, the Democratic Republic of Congo, Botswana, Zambia, Côte d’Ivoire and Burkina Faso have joined them to distributed a grand total of 222,609 books. A celebration to mark the launch of a year of events and festivities to commemorate 50 years of the Hare Krishna movement worldwide was hosted on Saturday 20th June by ISKCON UK. It marks the start of a year of celebrations to commemorate the 50th anniversary of the incorporation of ISKCON, the International Society for Krishna Consciousness, founded by His Divine Grace A.C. Bhaktivedanta Swami srila Prabhupada in 1966. New Delhi: The worldwide increase of popularity of yoga inspired the United Nations to recognize June 21 as International Yoga Day. 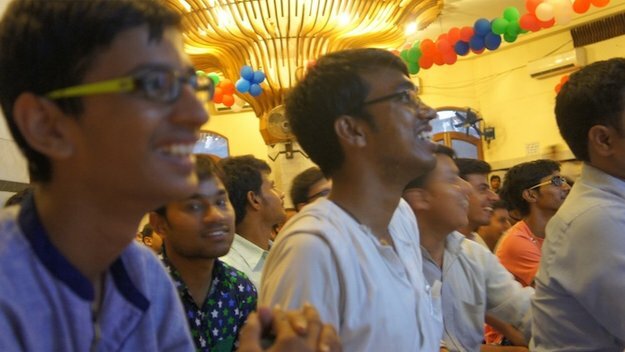 On this occasion, ISKCON’s Youth Forum (IYF) shared the bliss of bhakti yoga with Delhi youngsters through its bimonthly youth festival called Umanga. The festival featured a talk on the topic entitled as “Yoga for Modern Age” delivered by Ramabhadra Dasa.